Australian Sunrise Lodge i Sydney, Australien: Reservér nu! The following group types are not accepted by this hostel: Holiday with Friends If you have misrepresented the type of group you are booking for, your booking may be cancelled by the hostel." 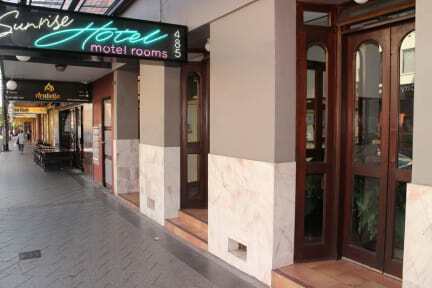 Sydney accommodation Australia Sunrise Lodge has rooms with queen size beds including a TV, microwave, fridge, Tea & coffee and a toaster. 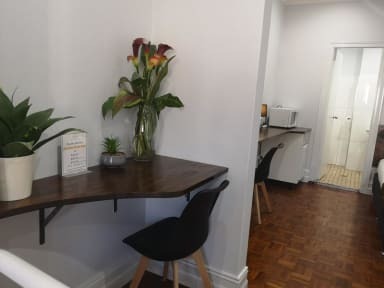 The inner-Sydney accommodation guest facilities include a fully equipped shared kitchen, Australian garden courtyard with barbecue, a guest lounge area with public telephone and the hotels Sydney office has fax and email facilities. Although the hotels in Sydney's CBD accommodation area, the atmosphere inside Australian Sunrise Lodge is like a peaceful oasis.